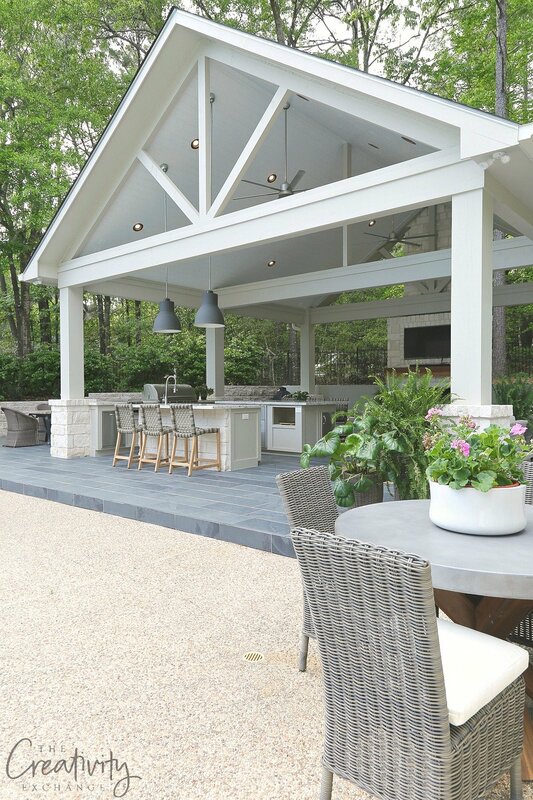 Summer is here and that means we can finally tackle those big outdoor summer projects! 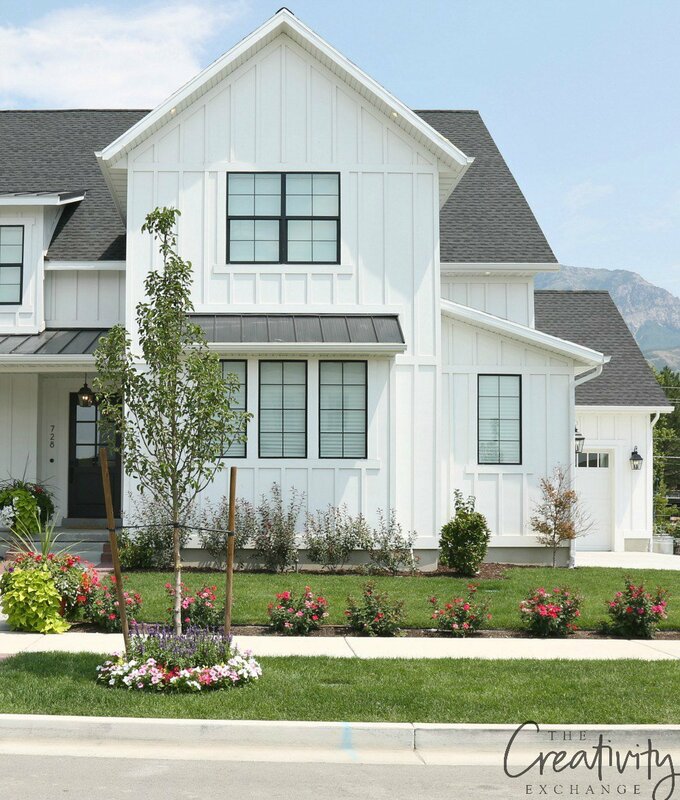 If you’re planning on painting the exterior of your home this summer, I wanted to share some important tips that will help you when choosing the best exterior paint for your home that will last years. It’s not easy deciding on a high quality exterior paint for the home because there are hundreds of different exterior paint products on the market. 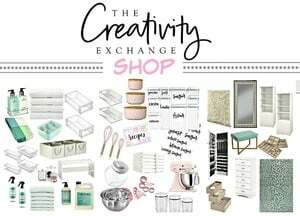 I know it’s seriously overwhelming and I’m gonna make it real easy for you today and help you sift through so you can zone in on the very best exterior paint for your project. 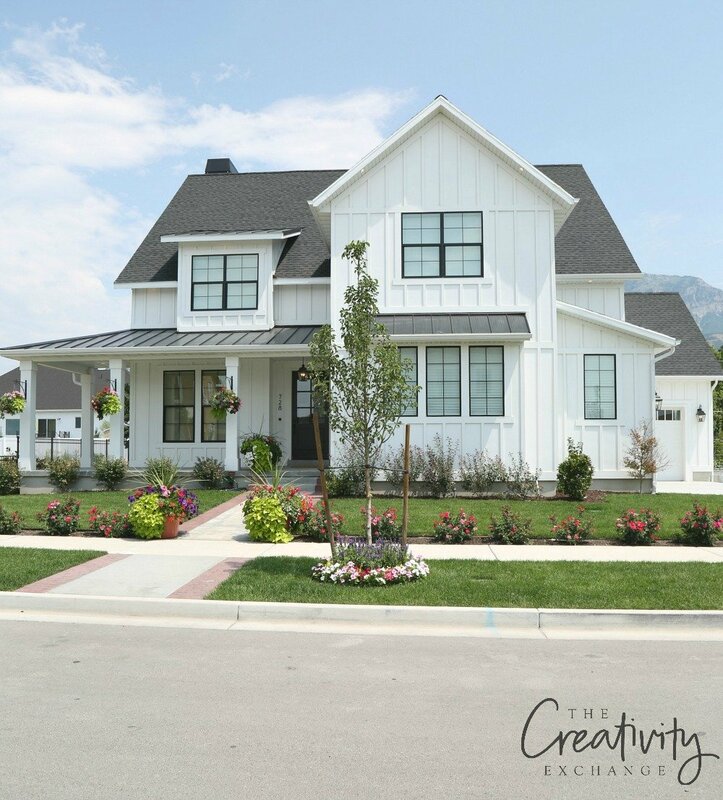 If you’re having your home professionally painted, it is critical that you are involved in the decision making process of what paint to use on your home. Don’t let your painter make that decision alone! A good professional painter will welcome talking you through the paint decision so both of you are happy with the job! It’s also very important to ask your painter to paint a sample of the paint he/she is recommending for you to makes sure you are happy with the coverage. By the way, next week I will be focusing more on choosing exterior paint colors but today I really wanted to talk about how to choose the right paint and finish. 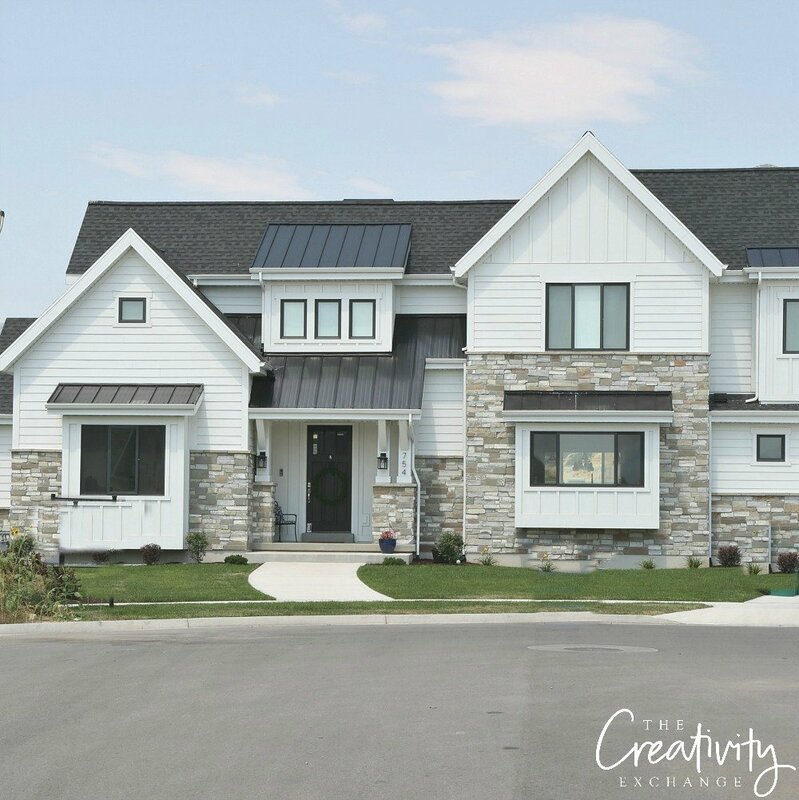 I have learned so much over the years about exterior paint products from my own projects, client projects and also working with paint companies. Unfortunately, I have also learned the hard way that not all exterior paints are created equal. Nothing is more frustrating than spending a fortune to have your house painted and you have to repaint within 2-3 years! I live in East Texas, which is one of the most extreme weather climates in the country. During the summer, the beating sun and heat can go on for months above 95 degrees and that combination of relentless UV rays and heat can discolor finishes and break down an exterior paint finish quickly. Whether poor coverage, lack of durability and uneven finishes, there are some important key things that you can look for when researching and considering exterior paint products that will ensure that you won’t have any of these issues. The great news is the most important information that you need to know is located right on the paint can label and I’m going to tell you exactly what you need to look for. 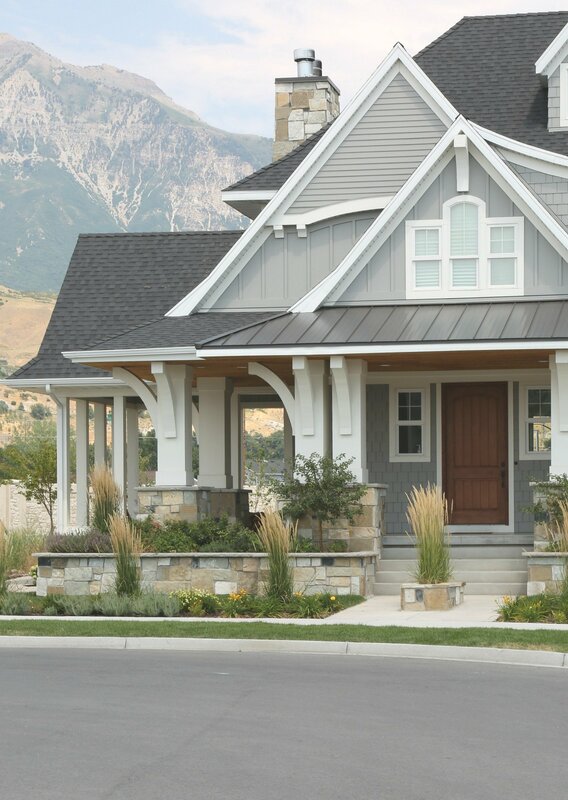 The most important factor when choosing an exterior paint is durability. You may be surprise to know that a highly durable exterior paint finish should last at least 5-10 years. Yes! You read that right! The best exterior paint that is applied properly can last up to 10 years! It is possible! These above key elements tell the REAL story about the likelihood of durability when it comes to exterior paints. In my opinion, nothing is more important than using an exterior paint product that has primer in it. This is absolutely non-negotiable for me and the most important requirement that I have when it comes to choosing an exterior paint. The reason it’s so important to me is that unlike traditional paints, primer paint contains binding properties (fancy word for glues), which means the primer will act as a sealant. Primer creates a binding layer (or) sealed layer on the material being painted that will increase durability making it more water and mold-resistance. Not too mention that you will have better coverage because primer will mask underlying color and imperfections better! That’s exactly what we need to have from an exterior paint. Below is a recent client project that we just completed. 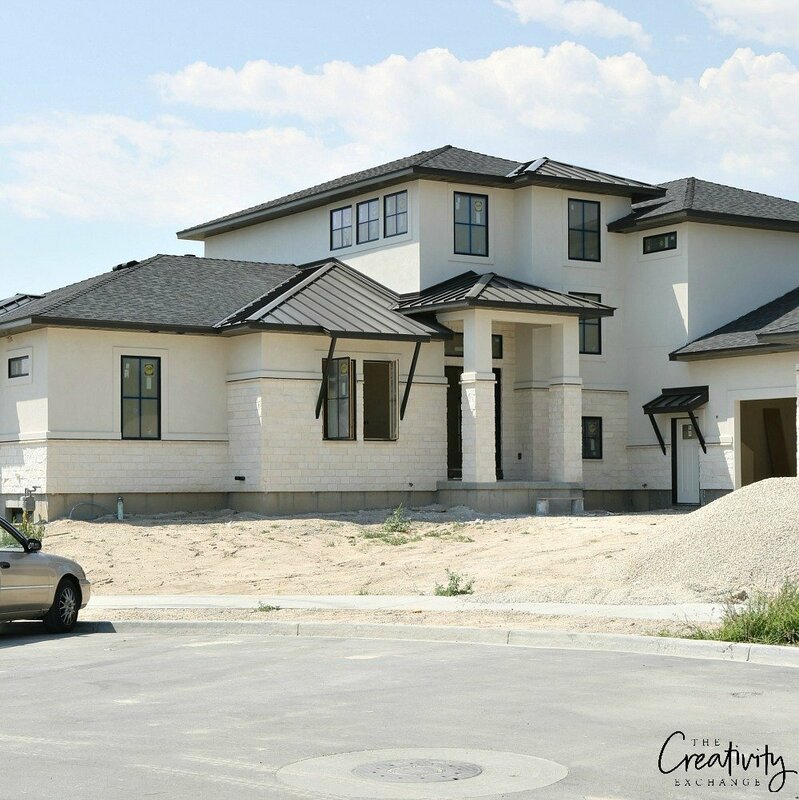 We painted a stucco wall in only one coat with PPG Timeless Exterior because the paint contains paint and primer all-in one. Can you imagine covering up orange with light warm tan in only coat? That’s what a good one-coat coverage exterior paint that contains primer can do! Just look at the end finish! Again, we only needed one coat of paint! The reason people use primers on furniture first is because the primer will adhere to the piece of furniture like an adhesive and basically seals the wood and prepare it for the paint. Primers cover so well because of those bonding properties, which can make a significant difference when it comes to durability of an exterior paint. 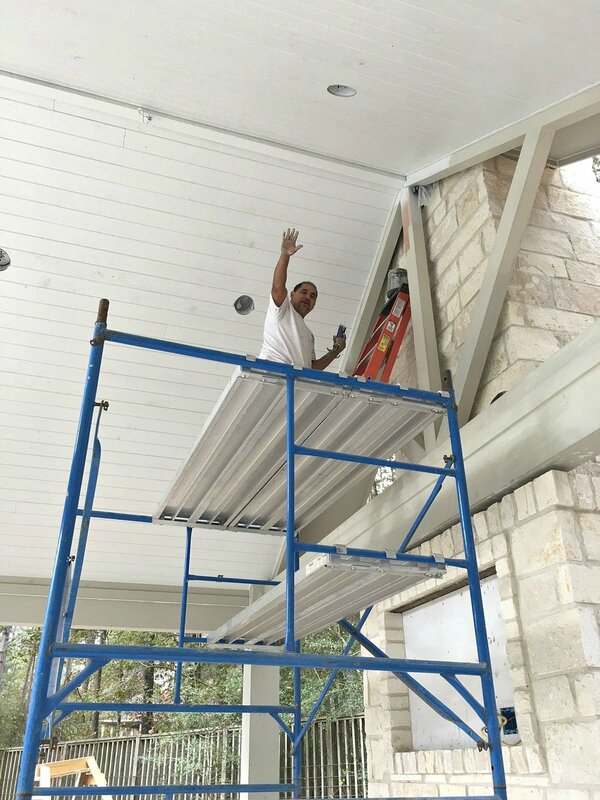 This is ESPECIALLY important when painting the exterior because imperfections and other issues like old mildew that you cannot remove are basically masked and sealed in. Better yet, if you haven’t painted your home in years, you can save yourself a step and will not have to paint on a primer first if you use a paint and primer all-in-one. Primers also fill and help level porous and uneven areas, which will help with obtaining a more even and consistent finish. The great news is that you will instantly narrow down your choices of exterior paint products significantly by choosing a paint and primer all-in-one paint. 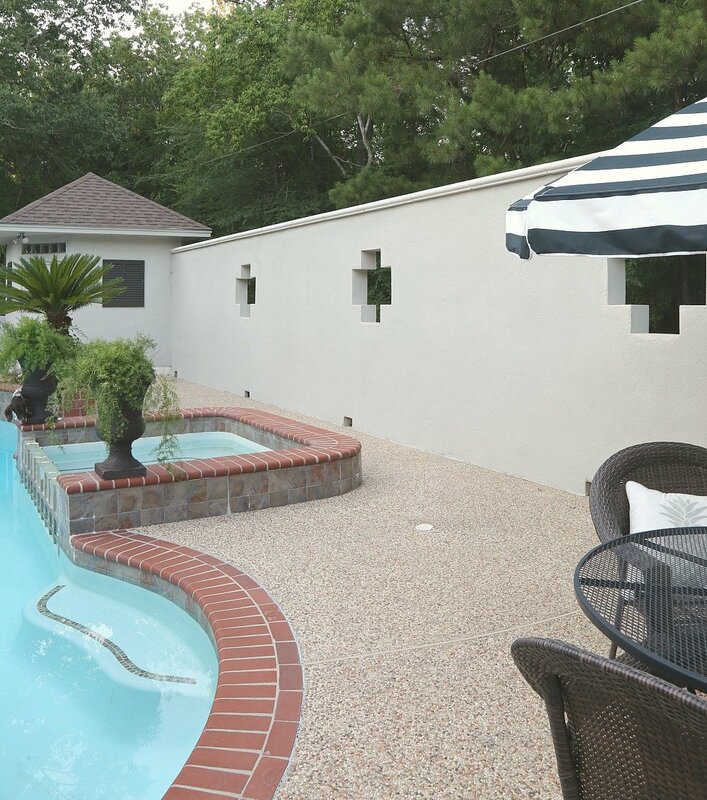 Where I live in East Texas, UV Protection is another must-have requirement that I have when it comes to exterior paints. The sun down here is relentless and in the past, I have seen beautiful exterior paint colors dull and change in less than 2-4 months because of the intensity of the sun. Really, no matter where you live, without some sort of UV protection in your exterior paint, the color can yellow, dull and change in a fairly short amount of time. 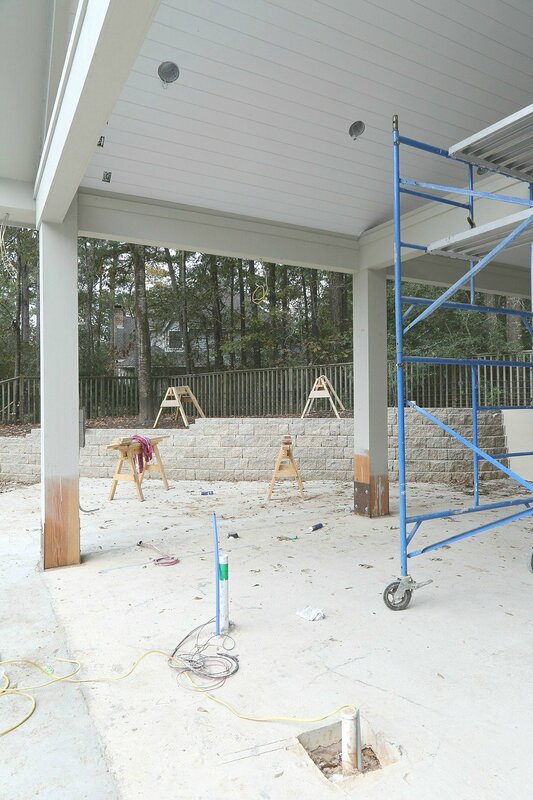 When it came time to paint our new outdoor kitchen/pool house, we also used PPG Timeless Exterior in the color Burmese Beige because not only does it contain primer but it is also UV resistant, which was very important to us for durability and I didn’t want the color finish to change over time. 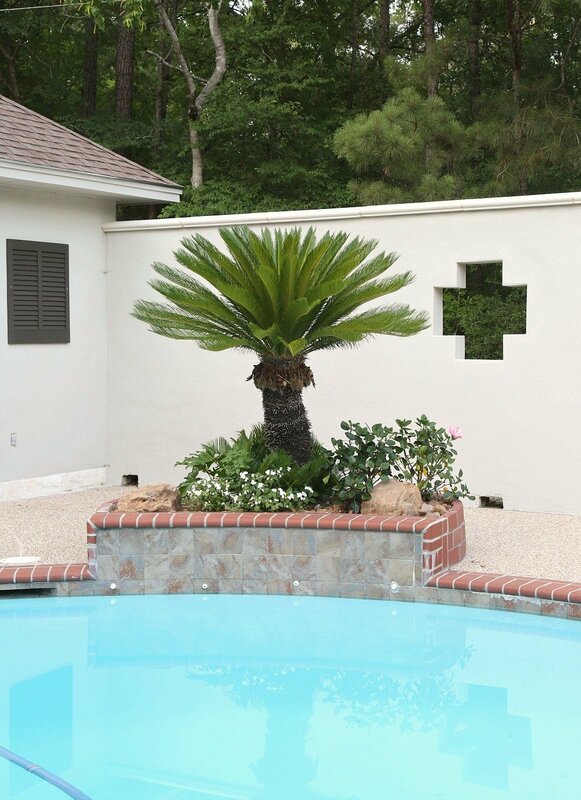 In East Texas, we have a lot of exterior stucco walls and I happen to have one in my own backyard that gets full sun 12 hours a day! 7 years ago, when we painted the wall, we used an exterior paint that did not hold up at all and the wall severely yellowed and we noticed the yellowing after just about two months. The chipping and flaking started less than after a year the paint was applied. The paint was clearly not durable enough for the intense climate here (even though I was assured by the paint store that the paint was by far the best choice for the climate). We just painted the wall 7 months ago also with PPG Timeless Exterior (Burmese Beige) and we have had no discoloring, chipping or issues whatsoever. The wall looks just as good as it did the day we painted it! Notice how even the color is. 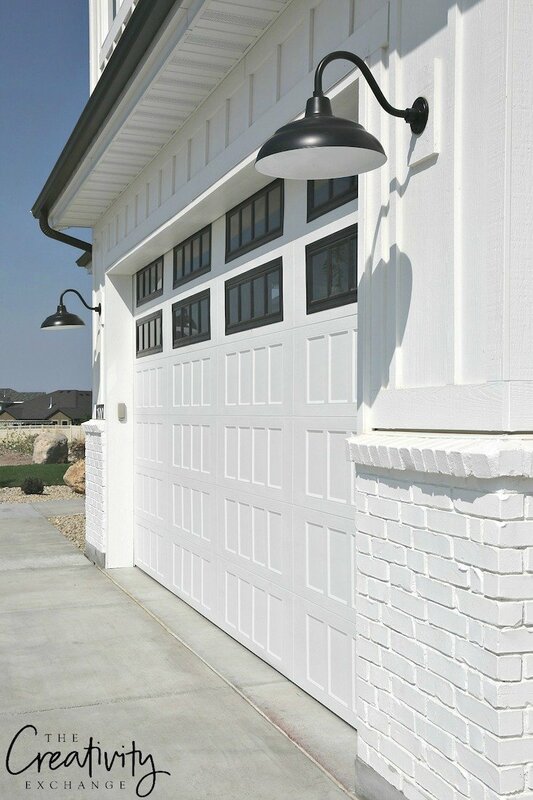 UV rays also can (over time) contribute to the break down of an exterior paint finish and in my opinion, having UV protection in an exterior paint is another critical factor in determining the durability of an exterior paint. Look on the label and product specifications to make sure that the paint has some sort of mold and mildew resistance because this is also extremely important when it comes to determining the durability of an exterior paint. Moisture and the sun are the two things that can do the most serious damage when it comes to an exterior paint finish. Mold and mildew will eat away at a paint finish and if you have to regularly power wash to remove mold/mildew, the intense beating moisture of power washing can add to the break down of the finish. Choosing an exterior paint that emphasizes stain resistance is another important factor to consider. Look for key words like “washability” or “scrubbability” on the product label to make sure the paint you are using has some sort of stain resistance. If a paint product does not mention some sort of stain resistance on the label or product specification, I would run. Again, you want to avoid having to power wash stains on the exterior of your home if at all possible because the intense moisture over time could breakdown the sheen and finish. Finding a paint product that emphasizes stain resistance should be a big consideration. If you choose an exterior paint that has UV protections and primer, you should not have any issues with fading and looking for mentions of fade resistance on the label is not necessary. However, if for whatever reason you choose not to use an exterior paint with UV protections (and primer) be sure and look for some mention of fade resistance on the label. Painting a home is hard enough with just one coat but it is not fun at all to have to do multiple coats. It’s time consuming, expensive and it adds additional layers of paint to your home and with the exterior paints available today, it’s completely unnecessary. Several paint companies offer exterior one-coat paint coverage and in my opinion, this is another requirement that I personally have when it comes to exterior paints. The more layers of paint your have on your home can add to an uneven finish and durability issues. If you are choose a paint that is a paint and primer all-in-one, you increase the chances of only needing one coat. However, from my experience, this is not always the case so I look for the specific words “one-coat” coverage on the paint can label and I personally always test to see if in fact it is true because I have learned the hard way that just because it says “one-coat coverage” doesn’t mean it’s true. 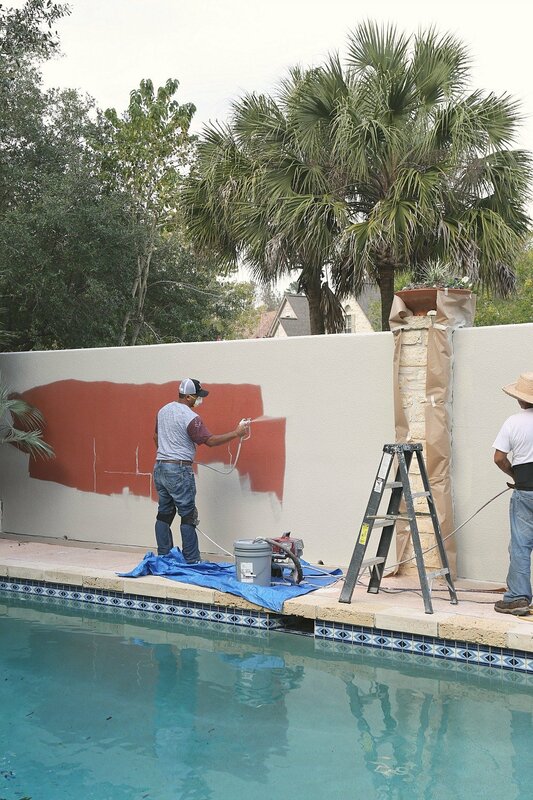 Before I choose an exterior paint, I will buy a gallon and test the paint on a spot on the back of a home or back of a stucco wall to see if it really does cover in one coat. I also do this to confirm my color choice (more on tips for choosing exterior paint colors next week). Another reason that having a one-coat exterior paint is so important to me is that it’s another indication that a paint is durable and good if it can cover in just one coat. After I narrow down the paint with my main requirements above, the next decision that has to be made is to choose the sheen/finish. These days, this decision is very easy for me because I prefer to only use a flat finish for our exterior projects. I know that freaks people out with the idea of using a flat paint but I use PPG Timeless Exterior paints for all of my own exterior projects and client projects and I talked extensively with the company about the durability of their flat paint and was convinced that their flat is more durable than traditional flat exterior paints. People just assume that a flat paint has zero sheen/finish protections but that is not always the case. 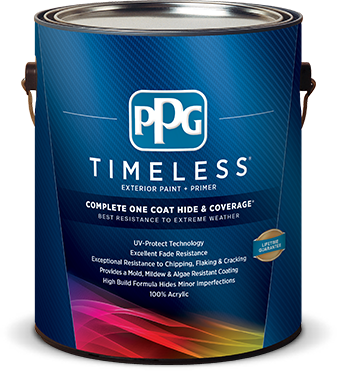 In the case of the PPG Timeless Exterior (and Interior) Paint, the flat paint still includes the primer, has UV protection and is mold/mildew resistant and has one-coat coverage. When I first tested the flat exterior paint, I could still see an ever so slight level of sheen that convinced me that it contained the same protections as a satin. If you test a flat paint and the finish looks chalky, I would be concerned. I personally prefer the look of a flat sheen over a satin because the color pigmentation is more even and I don’t like any shine at all. 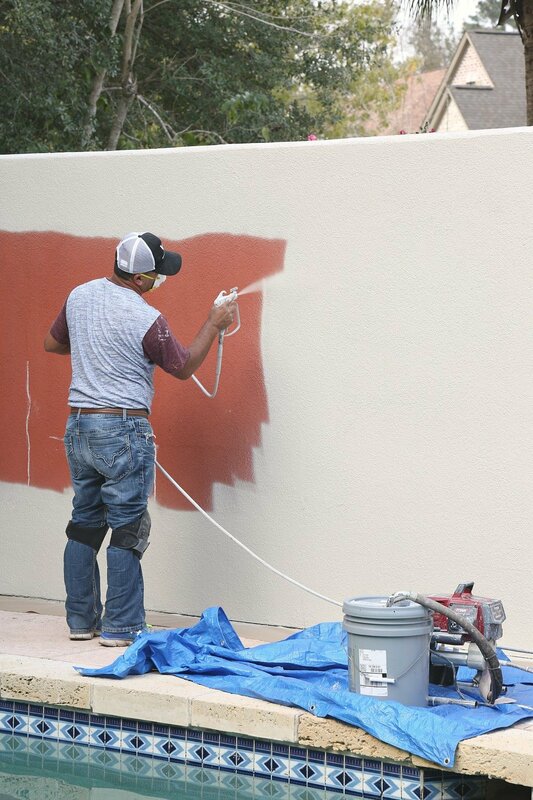 Especially on an exterior stucco wall or the body or trim of a home. That’s just my personal preference and in fact, I only use flat paint on the interior of my home and clients homes because I personally think it looks so much prettier. A good flat paint like PPG Timeless will be washable and contain the same protections as a satin finish. 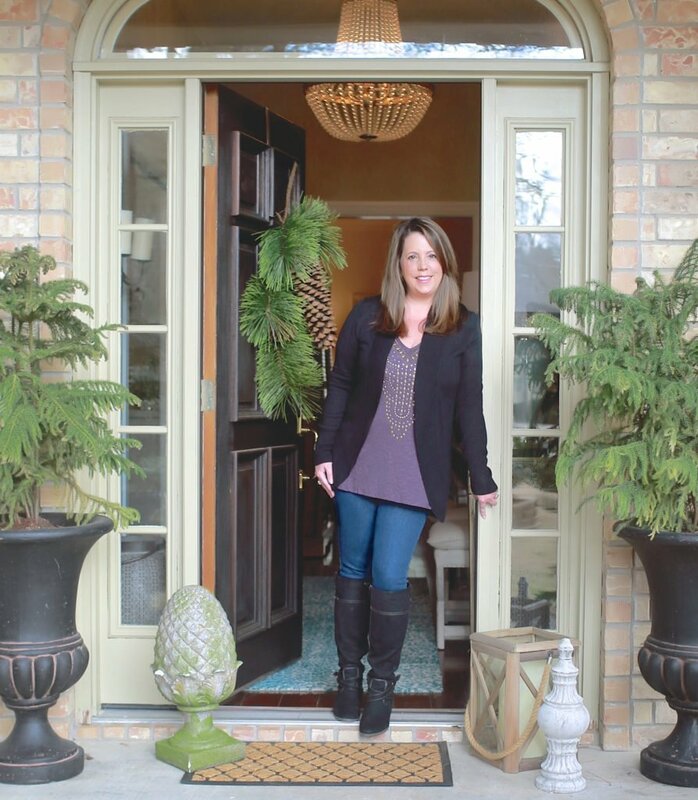 In the past, I would have never considered using a water-based paint on the exterior of my home here in East Texas because of the extreme weather conditions (heat and sun). However, I have learned over the last couple of years that a very good water-based exterior paint can hold us just as well and maybe even better in my climate. The key is it has to be a great exterior paints that contains all addresses all the key elements I mentioned above. Oil based paints are harder to paint with because it’s like painting with sticky honey. If you add an additive like Penetrol to the oil-based paint, it will help to thin the paint, you run the risk of the paint running. If you’re painting cabinets laying flat, that’s not a problem but if you’re dangling from a ladder painting the exterior of your home, it can be a big issue. Once I started using the PPG Timeless Exterior paint, which is water-based, I was immediately convinced that this exterior paint was just as durable of the oil-based paints that I traditionally used on exteriors and I was thrilled to be able to stop using oil-based exterior paints. Lastly, the best way to ensure that your exterior paint finish lasts for 5-10 years is to do the prep work recommended by the paint product that you will be using on your exterior. 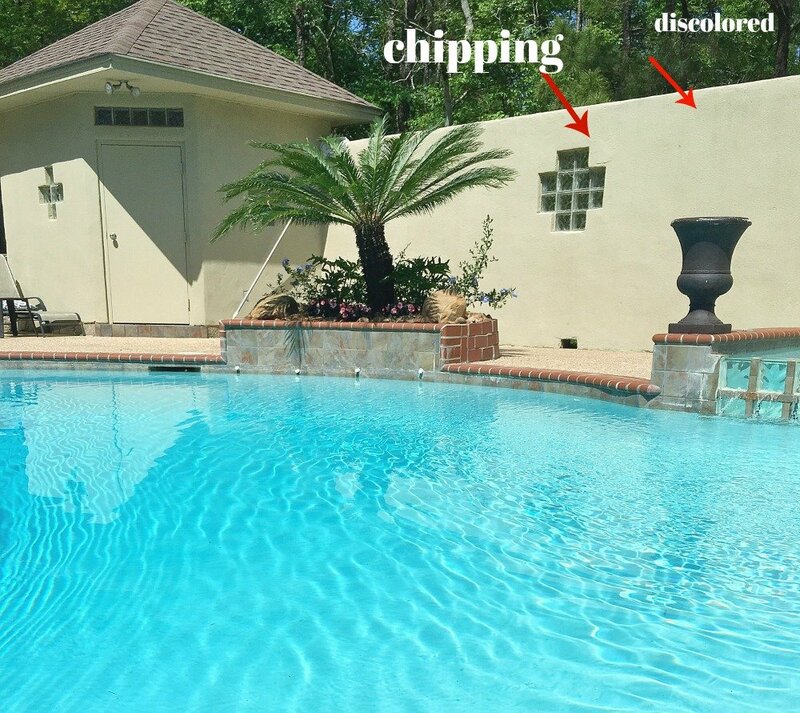 If the foundation for the new paint is not clean and chipping/flaking is not sanded/removed, you decrease that chances for the paint to adhere properly and give you the protections that are needed to stand the test of time. 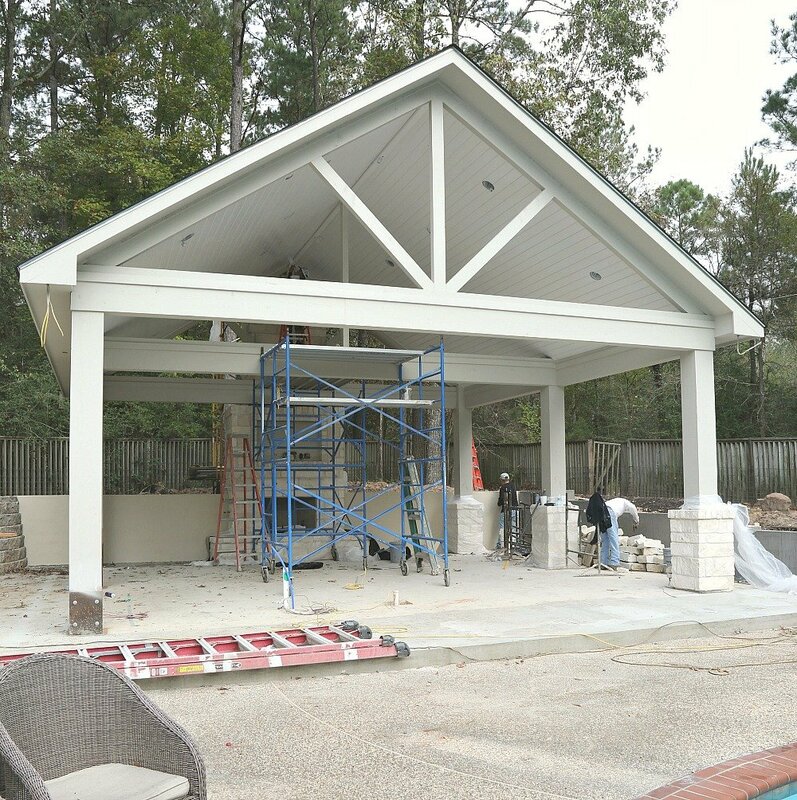 I personally use PPG Timeless Exterior paints because the paint checks all my boxes (paint + primer, mold/mildew resistant, UV resistant, stain and fade resistant in a one-coat coverage). I also love the finish and it’s very easy to work with and apply. I also LOVE how beautiful and even PPG Timeless Exterior sprays on when it comes to applying via a sprayer. Whatever exterior paint you choose to use for your outdoor project, just make sure that you read the label to make sure that the paint you choose has the protections that I mentioned above and that you test the coverage. If you do those two things, you will ensure that your paint will hold up and your exterior finish will last years. 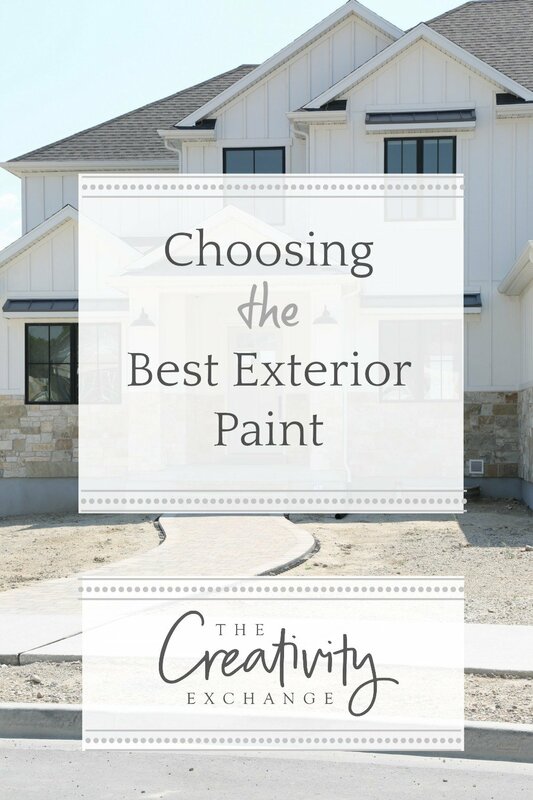 Next week, I will be sharing some easy tips for choosing just the right exterior paint color. This is great information since we’ll be painting the outside of our house soon. Would you also recommend using this same type of paint on outdoor wood furniture? Do you know the paint colors that were used for the home under the One Coat coverage section? Love that look! Thanks so much for a great post. We will be getting our stucco home painted this summer and I was not familiar with PPG paints. We will be painting interior walls as well. Would you also recommend this paint for interiors? Do they have lots of color options? Thanks for a great post as we will have our exterior and interior walls painted this summer. I was not familiar with PPG paints so I really appreciate this so much..
You’re welcome Debbie! You can get PPG Timeless Exterior at some Home Depot’s and you can also order online. Be sure and call the store first to make sure they have the exterior paint because not all HD are carrying the exterior. You will LOVE the paint! Good luck! What type of brush did you use with PPG paints? I cannot wait for your post on picking exterior colors. I’ve heard it’s trickier than interior especially when you want a nuetral color and I believe it. I’ve been looking for a light nuetral color for our house that faces south. Been searching and searching without finding any that I love. Thanks in advance!! Love your website. Do you know the manufacturer/color of the gray exterior in your post?